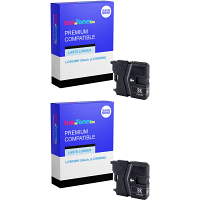 Brother DCP-J515w Ink Cartridges Why are InkNTonerUK such a great retailer of the printing consumables you need, in this case being your NEW Brother DCP-J515w ink cartridges? 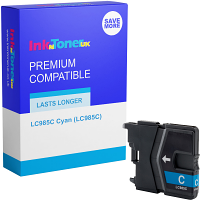 When shopping via InkNTonerUK you are given that assurance you need that your NEW Brother DCP-J515w ink cartridges will be nothing less than the greatest value, receiving the most for your money, and being of the utmost HIGH-QUALITY possible from the particular product you're purchasing! 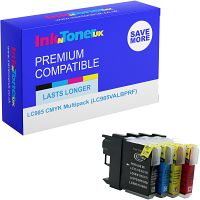 -It all starts with assuring that the quality of a cartridge is high enough for InkNTonerUK's patrons. We certify this high-quality by running ALL products through testing periods, generating test prints which show to us that, that particular products meets InkNTonerUK's standards. 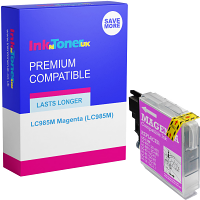 -Secondly, the InkNTonerUK team quite regularly seek out the most competitive rates from our leading competitors by investigating the current market, and set our prices to beat the ones that are being offered at that time. NOT only this, but each individual product has been filled to the max in terms of INK or TONER so are eminently LONG-LASTING! 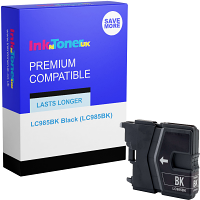 InkNTonerUK provide the BEST VALUE for your money, supplying admirably CHEAP, LONG-LASTING yet HIGH-QUALITY Brother DCP-J515w ink cartridges, and any other printing consumable you may need, time and time again! Your newly purchased Brother DCP-J515w ink cartridges will work to present you with constantly premium prints/scans & copies, at the speedy paces of UP TOO; 35 PPM (Prints per minute) in Mono (B/W) and UP TOO; 28 PPM in Colour, for constructive assistance in your office! The broad clientele that InkNTonerUK have developed over time are proof that InkNTonerUK provide nothing but positivity, ALL clients are left 100% contented with EVERY purchase, and this can NOW be you! Select your required purchase, and obtain your NEW Brother DCP-J515w ink cartridges today, forever maintaining the highest-standard of printing, wherever you may function it! We advise the action of placing this page where you're at now on 'Bookmark' This will allow you to have simple means, avoiding all confusion, each and every time you have a necessity in purchasing your NEW Brother DCP-J515w ink cartridges!